Continuing education for Psychologists builds upon a completed doctoral program in psychology. Continuing education (CE) in psychology is an ongoing process consisting of formal learning activities that (1) are relevant to psychological practice, education and science, (2) enable psychologists to keep pace with emerging issues and technologies, and (3) allow psychologists to maintain, develop, and increase competencies in order to improve services to the public and enhance contributions to the profession. The purpose is to provide formal learning that will further the knowledge and skills of psychologists who work in a variety of settings. Further is to assure that psychologists have a knowledge base of current issues and procedures that will enhance their ability to accurately and completely perform their duties. Psychologists who complete continuing education courses will have been provided with adequate information about competing theories and research to enable them to pursue making choices about which method will best meet the needs of their patients. They will also be introduced to the main controversies in literature. It requires a high level of commitment to the service of the public by assisting with training and development and serving as a resource to the psychologist. All Continuing Education for Psychologists courses are provided online. Vista is an American Psychological Association Continuing Education Provider. Psychologists continuing education requirements vary from state board to state board. We offer all of the courses needed to renew your license. We also offer courses for those applying for licensure. It is important to know your state board requirements including APA CEU course requirements. We stay on top of all Psychologists CEUs required continuing education. We offer a 6 hour Law and Ethics course each renewal period. All of our psychologists continuing education courses can be found in the course list section of our website. We offer instant results and certificates of completion. You can take the online quiz as many times as needed and pay just once. To learn more about psychologists CEUs please email us or check our FAQ page. Most of all continuing education in Psychology is governed by state law and national ethics mandates. Psychologists continuing education courses are part of renewing mental health CEUs licensure in your state. Psychologists CEU course requirements vary depending on licensure and pre-licensure status. Please check with your psychologists licensing board to verify needed CEU Courses. Vista Continuing Education provides mental health continuing education psychologists CEUs Courses online. Vista Continuing Education offers continuing education for Psychologists throughout the United States. We are an approved continuing education provider of the APA. All courses on this site are approved for APA continuing education credit. Vista Continuing Education is approved by the American Psychological Association to sponsor continuing education for psychologists. Vista CEU maintains responsibility for this program and its content. Psychologists are required to do APA CEU training courses as a condition to renew their state licenses. Most states allow the psychologists CEUs courses to be completed online. Each state required courses and method of continuing education delivery vary. We offer state board, national and APA CEU approved learning. Learn important to know topics such as Ethics, Supervision, Domestic Violence, Human Sexuality and more. Therefore, it’s best to contact your state licensing board directly regarding APA CEU to make sure of your state’s requirements. Most states, but not all, require mental health professionals to take an ethics course every renewal period. Laws are constantly changing and it’s paramount for working psychology professionals to stay on top of current laws. Online psychology Continuing Education online courses can be taken by most psychologists. We offer all of the board required courses including Law and Ethics, HIV, Domestic Violence, Aging and Long Term Care as well as all pre-licensure courses. All of our Psychologists Online Continuing Education courses are approved for continuing education credit. Vista Continuing Education provides three CEUS for Psychologists Ethics Continuing Education online courses. The titles include Law and Ethics for 6 hours, Law and Ethics 12, for twelve hours of credit and Professional Law and Ethics for 18 hours or units When taking the Ethics training make sure the laws are written with up-to-date information that satisfies the your licensing board..
1. Most noteworthy our psychologists CEUs is an easy to use website. 2. The Psychology CEUs requires that all continuing education providers are approved by a national agency to provide continuing education. Vista Continuing Education is approved by the APA. 3. We offer Licensure and Pre-licensure courses for psychologists CEUs, Interns and Associates. 4. Get started with a free step-by-step guide to Psychologists CEUs. We offer state and national approved learning. Master important to know topics in Psychology Continuing Education. 5. Vista offers an Easy to Use Website with online help. View Get Ceus Now new packaged programs for less. Continuing Education Credit for Psychologists need to be approved by the American Psychological Association. Psychologists are governed by the laws within the state they are licensed to perform counseling services. Aside from psychologists needing an Ethics course each renewal period, psychologists candidates are required specific courses to sit for the licensing exam. 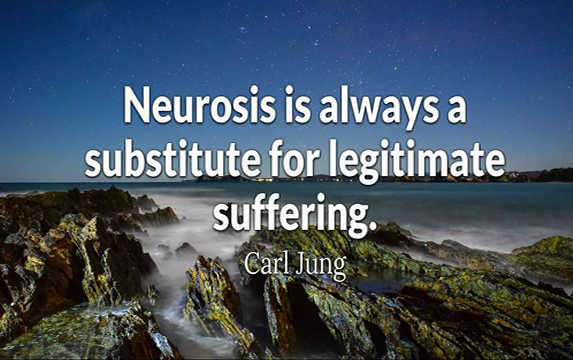 Psychology CEUs Online is a branch of psychotherapy that focuses on sound mental health practices. Psychologists work with families, couples, individuals and psychotherapy groups to treat a variety of mental health disorders. Clinicians are educated and trained in working with mental illness and know when to refer those who need more help and are out of the scope of practice for psychologists. Finally the board of psychology website. American Psychological Association. (2002).The Ethical Principles of Psychologists and Code of Conduct. (Effective Date, June 1, 2003). The distance learning training course that takes you from complete beginner to an ethics qualified professional in one step.